Thanks to Lily from Gamma Folk, I had an opportunity to grow indigo this year! She ordered some seeds from Rowland Ricketts and was kind enough to throw some my way. 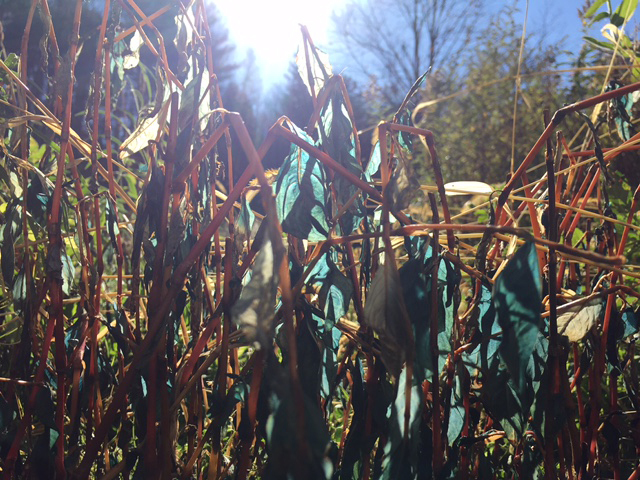 There's a variety of indigo plants, but Persicaria Tinctoria, also known as Dyer's Knotweed (not to be confused with the invasive species Japanese Knotweed) grows easily in cooler climates. 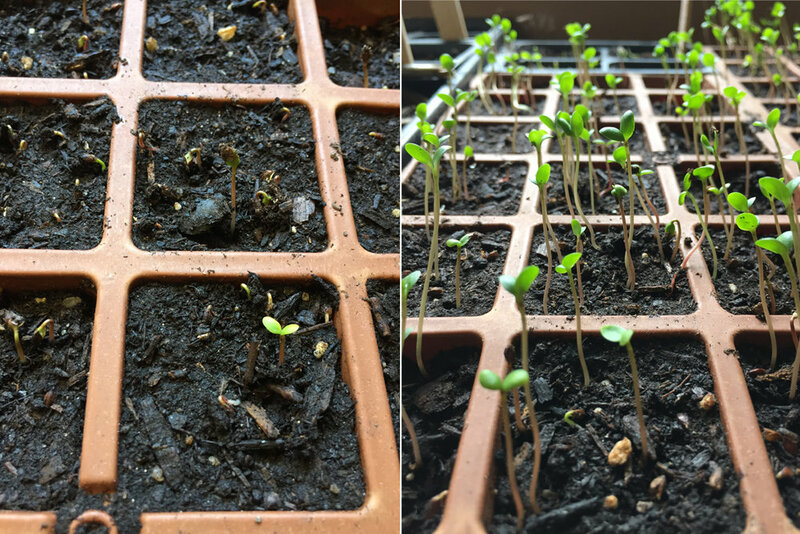 It was one of the fastest growers in the 'greenhouse' of seed trays we lad laid out at the kitchen window. This source of indigo grows well in our damp Northeast climate (many other indigo plants prefer hot sunny climates), preferring wet soil which is perfect because our backyard is partially a swamp. Since we've already had a few frosts here, and I really wanted to collect seeds for next years harvest, I dug up a few plants and have them sitting in the window. Below are the plants I didn't dig up... while beautifully blue, will probably not be able to be extracted for dye. I'm able to connect with the materials I use on a regular basis through experiencing their growth cycle. I'm honored to have an opportunity to understand the life and death of the source of natures deepest blues. Here's the flowering indigo (which looks very similar to Spotted Lady's Thumb, Persicaria Maculosa) sitting inside, safe from the frost.